A child custody order sets forth how parents divide the legal and physical custody of a child. Under Texas law, if the circumstances warrant a modification, a child custody order may be revised upon a petition to the court. In some situations, such as when the primary custodial parent is temporarily unable to care for the child, a permanent modification is not necessary. Additionally, exigent circumstances may arise that require an immediate modification of an existing order. In these situations, a parent or guardian can petition the court for a temporary custody order. If you need a temporary custody modification to an existing order, or someone else is seeking a modification of an existing custody order that will affect your right to custody of your child, the Dallas child custody lawyers at the McClure Law Group have the knowledge and experience to aid you in preserving your right to custody of your child. When recently separated parents of a child are unable to agree upon issues such as support or custody arrangements, they can petition the court to issue a temporary order to resolve critical issues until a final order can be set in place. Temporary orders can determine who will be the primary physical custodian of the child, set forth a visitation or physical custody schedule, and determine who has temporary legal custody of a child. If a petition for modification of custody is pending, the court generally issues a temporary order that changes the determination of who may choose the child’s primary residence. There are exceptions to this rule, however, such as allowing for an order changing the child’s primary residence if it is necessary to protect the child’s health and development, the primary custodial parent has voluntarily relinquished custody of the child, or the child is aged 12 or older and has expressed a preference as to who may determine the child’s primary residence. A party seeking a temporary order that will change who determines the child’s primary residence must attach an affidavit to the petition that sets forth facts supporting the argument that a temporary order is warranted if the request is on the basis that the child’s present circumstances would significantly impact his/her physical health or emotional development. If the court finds the facts set forth in the affidavit to be sufficient to support the petitioner’s allegations, the court will grant a hearing to determine whether the temporary custody order should be granted. If the court finds the affidavit to be insufficient, however, the court will deny the motion without a hearing. If a parent seeks a protective order, alleging that the child has been abused or neglected, generally the other parent must be notified of the petition. In circumstances in which the child is in grave danger, however, the court may grant a temporary order for the protection of the child without notifying the other parent and holding a hearing. If a hearing is held, the court will determine if the child is in danger of being abused or neglected or illegally taken from the child’s residence, and if so, it may issue a protective order. Once the order is signed, it is effective immediately. Disagreements regarding the custody of a child can be stressful and emotionally charged. If you are seeking to modify the custody order pertaining to your child, or you need legal assistance in defending against that modification, you should consult an attorney who can help you in protecting your custodial rights. The McClure Law Group is experienced in navigating the unique issues posed by custody cases and will advocate tirelessly on your behalf. 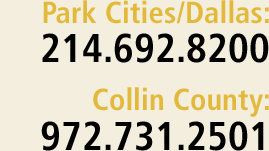 Our Dallas lawyers also maintain a Collin County office in Plano (by appointment) and represent clients in Dallas, Fort Worth, Garland, Irving, Richardson, McKinney, Frisco, and Rockwall, as well as other cities in Dallas, Collin, Grayson, Denton, Tarrant, and Rockwall Counties and elsewhere. To meet with an attorney to discuss any type of post-divorce modification, contact us at 214.692.8200 or via our online form.